Agras, W.S, Walsh, B.T., Fairburn, C.G. et al. (2000). A multicenter comparison of cognitive-behavioral therapy and interpersonal psychotherapy for bulimia nervosa. Archives of General Psychiatry, 57, 459-466. American Psychiatric Association (APA) (1994). Diagnostic and Statistical Manual of Mental Disorders (DSM-IV) (4th edn). Washington, DC: American Psychiatric Association. Barber, J.P. & Muenz, L.R. (1996). The role of avoidance and obsessiveness in matching patients to cognitive and interpersonal psychotherapy: Empirical findings from the Treatment for Depression Collaborative Research Program. Journal of Consulting and Clinical Psychology, 64, 951958. Beck, A.T. (1978) Depression Inventory. Philadelphia, PA: Center for Cognitive Therapy. Blom, M.B.J., Hoencamp, E. & Zwaan, T. (1996). Interpersoonlijke psychotherapie voor depressie: een pilot-onderzoek. Tijdschrift voor Psychiatrie, 38, 398-402. Brody, A.L., Saxena, S., Stoessel, P. et al. (2001). Regional brain metabolic changes in patients with major depression treated with eiteher paroxetine or interpersonal therapy: Preliminary findings. Archives of General Psychiatry, 58, 631-640. Brown, C., Schulberg, H.C., Madonia, M.J. et al. (1996). Treatment outcomes for primary care patients with major depression and lifetime anxiety disorders. American Journal of Psychiatry, 153, 1293-1300. Browne, G., Steiner, M., Roberts, J. et al. (2002). Sertraline and/or interpersonal psychotherapy with patients with dysthymic disorder in primary care: A 6-month comparison with longitudinal 2-year follow-up of effectiveness and costs. Journal of Affective Disorders, 68, 317-330. Carroll, K.M., Rounsaville, B.J. & Gawin, F.H. (1991). A comparative trial of psychotherapies for ambulatory cocaine abusers: Relapse prevention and interpersonal psychotherapy. American Journal ofDrug and Alcohol Abuse, 17, 229-247. Chevron, E.S. & Rounsavillle, B.J. (1983). Evaluating the clinical skills of psychotherapists: A comparison of techniques. Archives of General Psychiatry, 40, 1129-1132. Depression Guideline Panel (1993). Clinical Practice Guideline. Depression in Primary Care, Volumes 1-4. Rockville, MD: US Department of Health and Human Services, Agency for Health Care Policy and Research. DiMascio, A., Weissman, M.M., Prusoff, B.A. et al. (1979). Differential symptom reduction by drugs and psychotherapy in acute depression. Archives of General Psychiatry, 36, 1450-1456. Elkin, I., Shea, M.T., Watkins, J.T. et al. (1989). National Institute of Mental Health treatment of depression collaborative research program: General effectiveness of treatments. Archives of General Psychiatry, 46, 971-982. Fairburn, C.G., Jones, R., Peveler, R.C. etal. (1993). Psychotherapy and bulimia nervosa: Longer-term effects of interpersonal psychotherapy, behavior therapy, and cognitive behavior therapy. Archives of General Psychiatry, 50, 419-428. Fairburn, C.G., Norman, P.A., Welch, S.L. et al. (1995). A prospective study of outcome in bulimia nervosa and the long-term effects of three psychological treatments. Archives of General Psychiatry, 52, 304-312. Feijo de Mello, M., Myczowisk, L.M. & Menezes, P.R. (2001). A randomized controlled trial comparing moclobemide and moclobemide plus interpersonal psychotherapy in the treatment of dysthymic disorder. Journal of Psychotherapy Practice and Research, 10, 117-123. Foley, S.H., Rounsaville, B.J., Weissman, M.M. et al. (1989). Individual versus conjoint interpersonal psychotherapy for depressed patients with marital disputes. International Journal of Family Psychiatry, 10, 29-42. Frank, E. (1991a). Interpersonal psychotherapy as a maintenance treatment for patients with recurrent depression. Psychotherapy, 28, 259-266. Frank, E. (1991b). 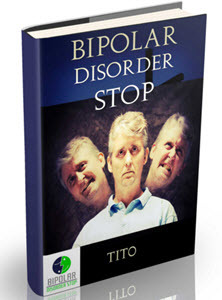 Biological Order and Bipolar Disorder. Presented at the meeting of the American Psychosomatic Society, Santa Fe, NM, March. Frank, E., Kupfer, D.J., Perel, J.M. et al. (1990). Three-year outcomes for maintenance therapies in recurrent depression. Archives of General Psychiatry, 47, 1093-1099. Frank, E., Kupfer, D.J., Wagner, E.F. et al. (1991). Efficacy of interpersonal psychotherapy as a maintenance treatment of recurrent depression. Archives of General Psychiatry, 48, 1053-1059. Frank, E., Shear, M.K., Rucci, P. et al. (2000a). Influence of panic-agoraphobic spectrum symptoms on treatment response in patients with recurrent major depression. American Journal of Psychiatry, 157, 1101-1107. Frank, E., Swartz, H.A. & Kupfer, D.J. (2000b). Interpersonal and social rhythm therapy: Managing the chaos of bipolar disorder. Biological Psychiatry, 48, 593-604. Frank, E., Swartz, H.A., Mallinger, A.G. et al. (1999). Adjunctive psychotherapy for bipolar disorder: Effects of changing treatment modality. Journal of Abnormal Psychology, 108, 579-587. Frank, J. (1971). Therapeutic factors in psychotherapy. American Journal ofPsychotherapy, 25, 350361. Gurman, A.S. & Kniskern, D.P. (1978). Research on marital and family therapy: Progress, perspective, and prospect. In S.B. Garfield & A.B. Bergen (eds), Handbook of Psychotherapy and Behavior Change (pp. 817-902). New York: John Wiley & Sons. Hamilton, M. (1960). A rating scale for depression. Journal of Neurology, Neurosurgery and Psychiatry, 25, 56-62. Hirschfeld, R.M.A., Klerman, G.L., Clayton, P.J. et al. (1983). Assessing personality: effects of the depressive state on trait measurement. American Journal of Psychiatry, 140, 695-699. Karasu, T.B., Docherty, J.P., Gelenberg, A. et al. (1993). Practice guideline for major depressive disorder in adults. American Journal of Psychiatry (Supplement) 150, 1-26. Klein, D.F. & Ross, D.C. (1993) Reanalysis of the National Institute of Mental Health treatment of depression collaborative research program general effectiveness report. Neuropsychopharmacology, 8, 241-251. Klerman, G.L. (1990). Treatment of recurrent unipolar major depression disorder. Archives of General Psychiatry, 47, 1158-1162. Klerman, G.L., Budman, S., Berwick, D. et al. (1987). Efficacy of a brief psychosocial intervention for symptoms of stress and distress among patients in primary care. Medical Care, 25, 1078-1088. Klerman, G.L., DiMascio, A., Weissman, M.M. et al. (1974). Treatment of depression by drugs and psychotherapy. American Journal of Psychiatry, 131, 186-191. Klerman, G.L. & Weissman, M.M. (1993). New Applications of Interpersonal Psychotherapy. Washington, DC: American Psychiatric Press. Klerman, G.L., Weissman, M.M., Rounsaville, B.J. & Chevron, E.S. (1984). Interpersonal Psychotherapy of Depression. New York: Basic Books. Klier, C.M., Muzik, M., Rosenblum, K.L. & Lenz, G. (2001). Interpersonal psychotherapy adapted for the group setting in the treatment of postpartum depression. Journal of Psychotherapy Practice and Research, 10, 124-131. Kocsis, J.H., Frances, A.J., Voss, C. et al. (1988). Imipramine treatment for chronic depression. Archives of General Psychiatry, 45, 253-257. Lipsitz, J.D., Fyer, A.J., Markowitz, J.C. & Cherry, S. (1999). An open trial of interpersonal psychotherapy for social phobia. American Journal of Psychiatry, 156, 1814-1816. Malkoff-Schwartz, S., Frank, E., Anderson, B.P. et al. (2000). Social rhythm disruption and stressful life events in the onset of bipolar and unipolar episodes. Psychological Medicine, 30, 1005-1016. Markowitz, J.C. (1994). Psychotherapy of dysthymia. American Journal of Psychiatry, 151, 11141121. Markowitz, J.C. (1995). Teaching interpersonal psychotherapy to psychiatric residents. Academic Psychiatry, 19, 167-173. Markowitz, J.C. (1998). Interpersonal Psychotherapy for Dysthymic Disorder. Washington, DC: American Psychiatric Press. Markowitz, J.C. (2001). Learning the new psychotherapies. In M.M. Weissman (ed.) Treatment of Depression: Bridging the 21st Century (pp. 281-300). Washington, DC: American Psychiatric Press. Markowitz, J.C., Klerman, G.L., Perry, S.W. et al. (1992). Interpersonal therapy of depressed HIVseropositive patients. Hospital and Community Psychiatry, 43, 885-890. Markowitz, J.C., Kocsis, J.H. & Fishman, B. (1998). Treatment of HIV-positive patients with depressive symptoms. Archives of General Psychiatry, 55, 452-457. Markowitz, J.C., Leon, A.C., Miller, N.L. etal. (2000). Rater agreement on interpersonal psychotherapy problem areas. Journal ofPsychotherapy Practice and Research, 9, 131-135. Markowitz, J.C., Svartberg, M. & Swartz, H.A. (1998). Is IPT time-limited psychodynamic psychotherapy? Journal of Psychotherapy Practice and Research, 7, 185-195. Markowitz, J.C. & Swartz, H.A. (1997). Case formulation in interpersonal psychotherapy of depression. In T.D. Eels (ed. ), Handbook of Psychotherapy Case Formulation (pp. 192-222). New York: Guilford Press. Martin, S.D., Martin, E., Rai, S.S. etal. (2001). Brain blood flow changes in depressed patients treated with interpersonal psychotherapy or venlafaxine hydrochloride. Archives of General Psychiatry, 58, 641-648. Mossey, J.M., Knott, K.A., Higgins, M. & Talerico, K. (1996). Effectiveness of a psychosocial intervention, interpersonal counseling, for subdysthymic depression in medically ill elderly. Journal of Gerontology, 51A(4), M172-M178. Mufson, L., Moreau, D. & Weissman, M.M. (1993). Interpersonal Therapy for DepressedAdolescents. New York, Guilford Press. Mufson, L., Weissman, M.M., Moreau, D. & Garfinkel, R. (1999). Efficacy of interpersonal psychotherapy for depressed adolescents. Archives of General Psychiatry, 56, 573-579. O'Hara, M.W., Stuart, S., Gorman, L.L. &Wenzel, A. (2000). Efficacy of interpersonal psychotherapy for postpartum depression. Archives of General Psychiatry, 57, 1039-1045. Paykel, E.S., DiMascio, A., Haskell, D. & Prusoff, B.A. (1975). Effects of maintenance amitriptyline and psychotherapy on symptoms of depression. Psychological Medicine, 5, 67-77. Reynolds, C.F. III, Frank, E., Perel, J.M. et al. (1999). Nortriptyline and interpersonal psychotherapy as maintenance therapies for recurrent major depression: a randomized controlled trial in patients older than fifty-nine years. Journal of the American Medical Association, 281, 39-45. Rossello, J. & Bernal, G. (1999). The efficacy of cognitive-behavioral and interpersonal treatments for depression in Puerto Rican adolescents. Journal of Consulting and Clinical Psychology, 67, 734-745. Roth, A. & Fonagy, P. (1996) What Works for Whom? A Critical Review of Psychotherapy Research. New York: Guilford. Rothblum, E.D., Sholomskas, A.J., Berry, C. & Prusoff, B.A. (1982). Issues in clinical trials with the depressed elderly. Journal of the American Geriatric Society, 30, 694-699. Rounsaville, B.J., Chevron, E.S., Weissman, M.M. et al. (1986). Training therapists to perform interpersonal psychotherapy in clinical trials. Comprehensive Psychiatry, 27, 364-371. Rounsaville, B.J., Glazer, W., Wilber, C.H. et al. (1983). Short-term interpersonal psychotherapy in methadone-maintained opiate addicts. Archives of General Psychiatry, 40, 629-636. Rounsaville, B.J., O'Malley, S.S., Foley, S.H. & Weissman, M.M. (1988). The role of manual-guided training in the conduct and efficacy of interpersonal psychotherapy for depression. Journal of Consulting and Clinical Psychology, 56, 681-688. Rounsaville, B.J., Weissman, M.M., Prusoff, B.A. & Herceg-Baron, R.L. (1979). Marital disputes and treatment outcome in depressed women. Comprehensive Psychiatry, 20, 483-490. Rush, A.J. & Thase, M.E. Psychotherapies for depressive disorders: A review. In M. Maj & N. Sartorius (eds), Depressive Disorders: WPA Series Evidence and Experience in Psychiatry (pp. 161-206). Chichester: John Wiley & Sons. Sanderson WC, Woody S (1995). Manuals for empirically validated treatments: a project of the task force on psychological interventions. Clinical Psychologist, 48, 7-11. Satcher, D. (1999). Surgeon General's Reference: Mental Health: A Report of the Surgeon General. Rockville, MD: US Department of Health and Human Services. Schulberg, H.C., Block, M.R., Madonia, M.J. et al. (1996). Treating major depression in primary care practice. Archives of General Psychiatry, 53, 913-919. Schulberg, H.C. & Scott, C.P. (1991). Depression in primary care: treating depression with interpersonal psychotherapy. In C.S. Austad & W.H. Berman (eds), Psychotherapy in Managed Health Care: The Optimal Use of Time and Resources (pp. 153-170). Washington, DC: American Psychological Association. Schulberg, H.C., Scott, C.P., Madonia, M.J. & Imber, S.D. (1993). Applications of interpersonal psychotherapy to depression in primary care practice. In G.L. Klerman & M.M. Weissman (eds) New Applications of Interpersonal Psychotherapy (pp. 265-91). Washington, DC: American Psychiatric Press. Seligman, M.E.P. (1995). The effectiveness of psychotherapy: The Consumer Reports study. American Psychologist, 12, 965-974. Shea, M.T., Elkin, I., Imber, S.D. et al. (1992). Course of depressive symptoms over follow-up: findings from the National Institute of Mental Health Treatment for Depression Collaborative Research Program. Archives of General Psychiatry, 49, 782-794. Shea, M.T., Elkin, I., & Sotsky, S.M. (1999). Patient characteristics associated with successful treatment: outcome findings from the NIMH Treatment of Depression Collaborative Research Program. In D.S. Janowsky (ed.) Psychotherapy Indications and Outcomes (pp. 71-90). Washington, DC: American Psychiatric Press. Sholomskas, A.J., Chevron, E.S., Prusoff, B.A. & Berry C (1983). Short-term interpersonal therapy (IPT) with the depressed elderly: Case reports and discussion. American Journal of Psychotherapy, 36, 552-566. Sloane, R.B., Stapes, F.R. & Schneider, L.S. (1985). Interpersonal therapy versus nortriptyline for depression in the elderly. In G.D. Burrows, T.R. Norman & L. Dennerstein (eds). Clinical and Pharmacological Studies in Psychiatric Disorders (pp. 344-346). London, John Libbey. Sotsky, S.M., Glass, D.R., Shea, M.T. etal. (1991). Patient predictors of response to psychotherapy and pharmacotherapy: Findings in the NIMH treatment of depression collaborative research program. American Journal of Psychiatry, 148, 997-1008. Spinelli, M. (1997). Manual of Interpersonal Psychotherapy for Antepartum Depressed Women (IPT-P). 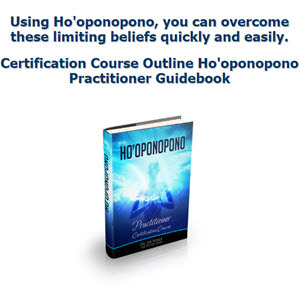 Available through Dr Spinelli, Columbia University College of Physicians and Surgeons, New York. Spinelli, M. & Endicott, J. (2003). Controlled clinical trial of interpersonal psychotherapy versus parenting education program for depressed pregnant women. American Journal of Psychiatry, 160, 555-562. Stuart, S. & O'Hara, M.W. (1995). IPT for postpartum depression. Journal of Psychotherapy Practice and Research, 4,18-29. Stuart, S., O'Hara, M.W. & Blehar, M.C. (1998). Mental disorders associated with childbearing: report of the biennial meeting of Marce Society. Psychopharmacology Bulletin, 34, 333-338. Sullivan, H.S. (ed) (1953). The Interpersonal Theory of Psychiatry. New York: W.W. Norton. Thase, M.E., Fava, M., Halbreich, U. et al. (1996). A placebo-controlled, randomized clinical trial comparing sertraline and imipramine for the treatment of dysthymia. Archives of General Psychiatry, 53, 777-784. Thase, M.E., Buysse, D.J., Frank, E. et al. (1997). Which depressed patients will respond to interpersonal psychotherapy? The role of abnormal EEG profiles. American Journal of Psychiatry, 154, 502-509. Weissman, M.M. (1995). Mastering Depression: A Patient Guide to Interpersonal Psychotherapy. Albany, NY: Graywind Publications. Currently available through The Psychological Corporation, Order Service Center, P.O. Box 839954, San Antonio, TX 78283-3954. Tel. 1-800-228-0752. Fax 1-800-232-1223. Weissman, M.M., Klerman, G.L., Paykel, E.S. etal. (1974). Treatment effects on the social adjustment of depressed patients. Archives of General Psychiatry, 30, 771-778. Weissman, M.M., Klerman, G.L., Prusoff, B.A. et al. (1981). Depressed outpatients: Results one year after treatment with drugs and/or interpersonal psychotherapy. Archives of General Psychiatry, 38, 52-55. Weissman, M.M., Prusoff, B.A., DiMascio, A. et al. (1979). The efficacy of drugs and psychotherapy in the treatment of acute depressive episodes. American Journal of Psychiatry, 136, 555-558. Weissman, M.M., Rounsaville, B.J. & Chevron, E.S. (1982). Training psychotherapists to participate in psychotherapy outcome studies: Identifying and dealing with the research requirement. American Journal of Psychiatry, 139, 1442-1446. Wilfley, D.E., Agras, W.S., Telch, C.F. etal. (1993). Group cognitive-behavioral therapy and group interpersonal psychotherapy for the nonpurging bulimic individual: a controlled comparison. Journal of Consulting and Clinical Psychology, 61, 296-305. Wilfley, D.E., MacKenzie, R.K., Welch, R.R. et al. (2000). Interpersonal Psychotherapy for Groups. New York: Basic Books. Zlotnick, C., Johnson, S.L., Miller, I.W. et al. (2001). Postpartum depression in women receiving public assistance: Pilot study of an interpersonal-therapy-oriented group intervention. American Journal of Psychiatry, 158, 638-640. Want to be and stay positive? 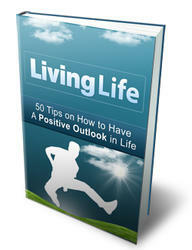 Download This Guide And Discover 50 Tips To Have A Positive Outlook In Life. Finally! Reach your goals, face your fears and have a more fulfilled and happy life.